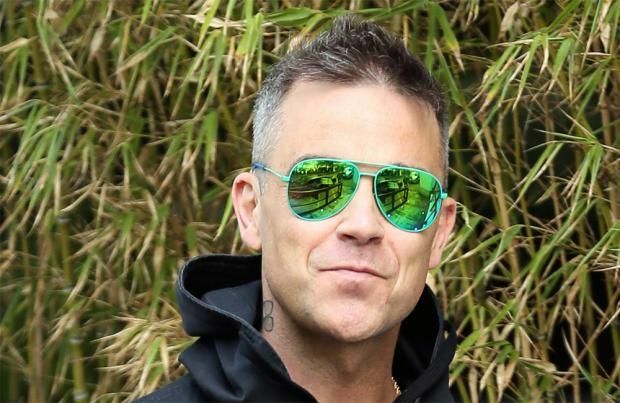 Robbie Williams, Sir Elton John and Britney Spears will all headline Apple Music Festival's 10th anniversary shows. The 'Rock DJ' hitmaker recently announced his plans to drop his eleventh studio album this year, after securing a brand new deal with Sony Records, and looks set to debut new music at his show at London's Roundhouse on September 25. The trio will be among the main acts at the music extravaganza, formerly known as the iTunes Festival, which is set to take place from September 18th to September 30th. On returning to the UK, 'Make Me' hitmaker Britney said: "I'm so excited to go back to London, which is a special place for me to visit and I'm really looking forward to performing at the Apple Music Festival. It's also their 10th birthday! It's going to be a great party." 'Tiny Dancer' hitmaker Elton, 69, said:"I am so excited to be playing at the Roundhouse. I love London and can't wait to share this fantastic experience at the Apple Music Festival with my fans." Calvin Harris, Alicia Keys, The 1975, OneRepublic, Michael Bublé, Chance The Rapper and Bastille will also perform. Superstar DJ, Calvin said: "I'm very excited to be headlining at this year's Apple Music Festival at the Roundhouse in London, and for everyone around the world to be able to watch it live on Apple Music." And bringing her "magic", Alicia added: "I love London and performing at the Roundhouse! I can't wait to see you there. It's going to be magic!!" And 'Good Grief' hitmakers Bastille can't wait to perform their first hometown show since releasing their latest LP 'Wild World'. "The Roundhouse is such a beautiful venue and it's in our hometown, so I can't think of a better place to play a bunch of new songs for the first time." And OneRepublic said: "We are looking forward to returning to the iconic Roundhouse this year to play one of our favourite festivals, the Apple Music Festival, and perform new music for our fans!" While The 1975 added: "We're really looking forward to being a part of this year's Apple Music Festival. We loved playing at The Roundhouse for the 2013 Festival and are excited to be heading back this year." Big pop hits from the sometime Take That star. With The Black Eyed Peas, Keane, Texas and Feeder.